This totally unique building is wowing visitors from around the world. 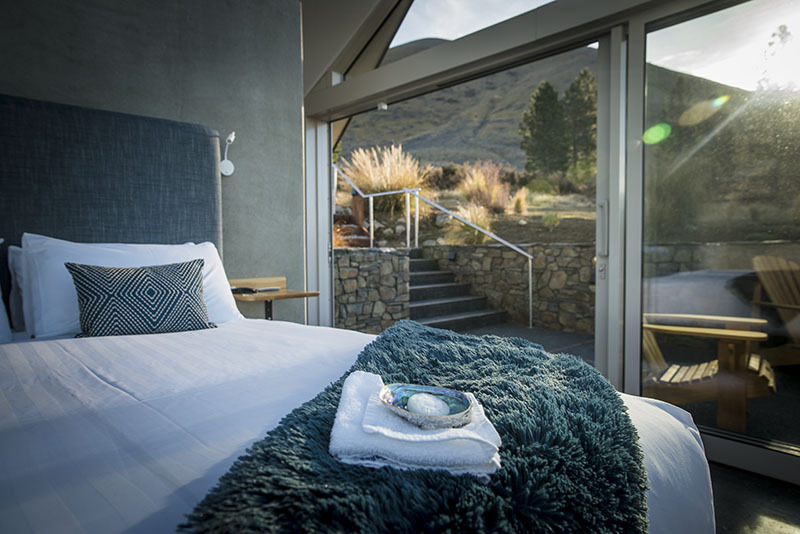 SkyScape is architecturally designed and expertly crafted to allow guests to feel as if they are a part of nature. 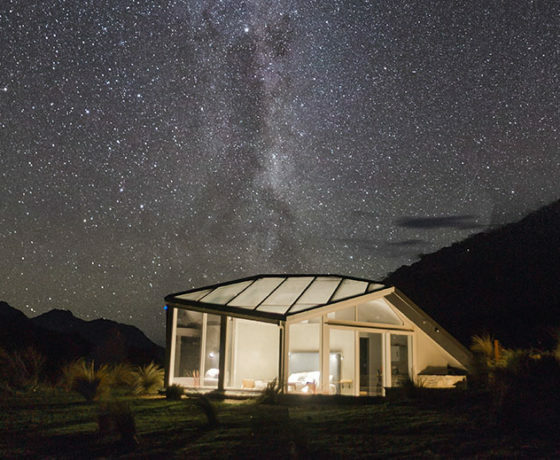 Perched on the slopes of the Ben Ohau Range, inside the Aoraki Mackenzie International Dark Sky Reserve, SkyScape boasts panoramic views of the Mackenzie Country and a unique experience of sleeping under the stars, in a bedroom built predominately of glass. 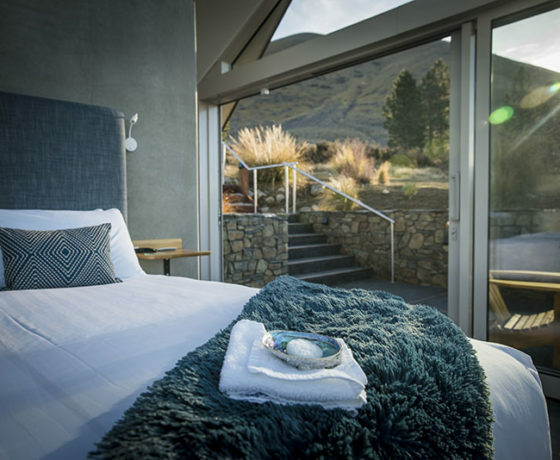 SkyScape is located 10 km from Twizel, on Omahau Hill Station, a 6000 acre sheep and beef farm. Guests can hike, use the free bicycles, take a farm tour or simply enjoy the stunning scenery. Your SkyBed is nestled within native scrub, in a private, isolated location. 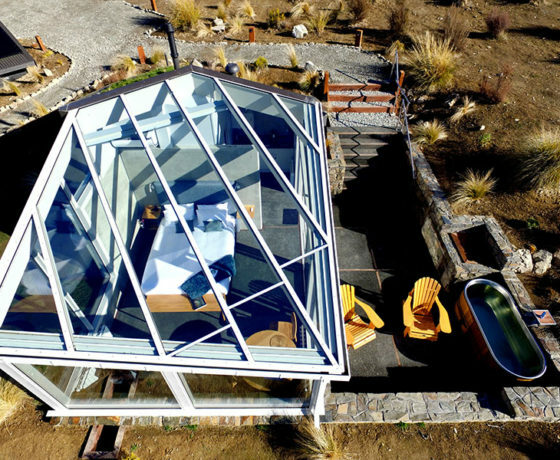 The property uses solar, gas and a back up generator. A gourmet continental breakfast is provided and can be prepared in a small kitchenette. An optional evening dinner platter with local meat and produce is available on request. Please note that all guests must be over the age of 16 years. 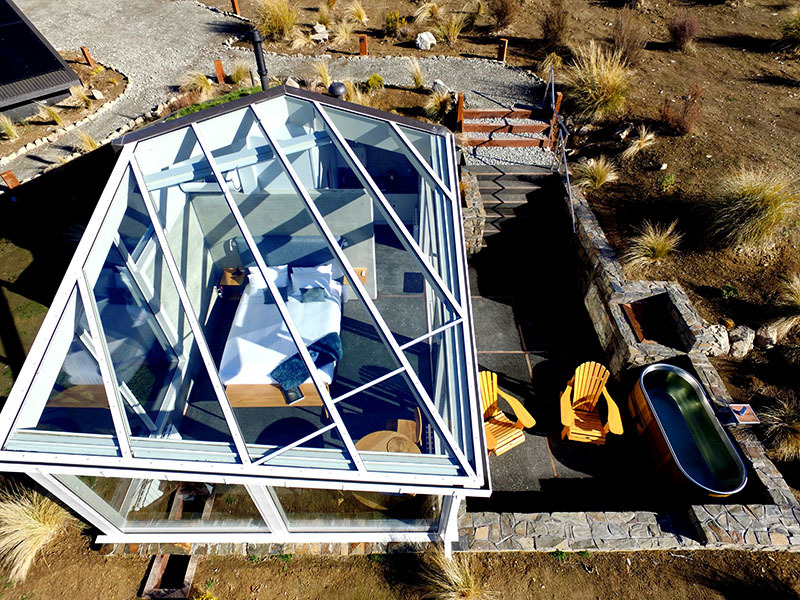 SkyScape Office is located at 47 Ben Ohau Road, Twizel. 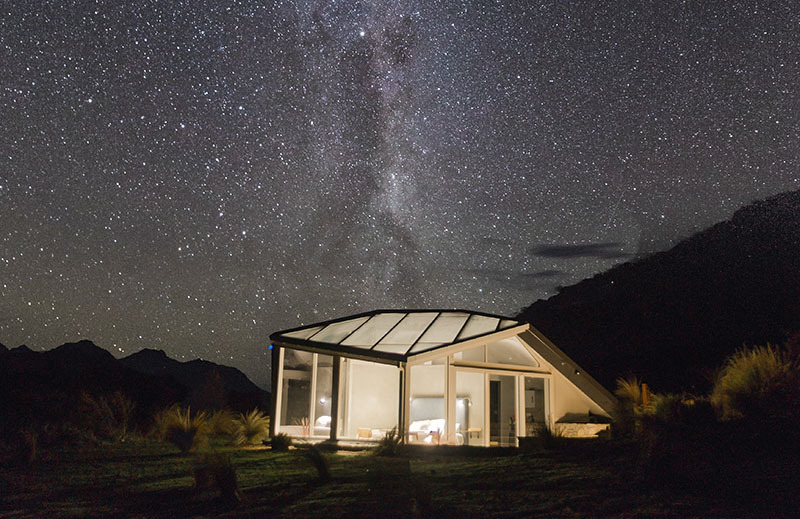 Please note, the office is a 10 minute drive from Twizel. 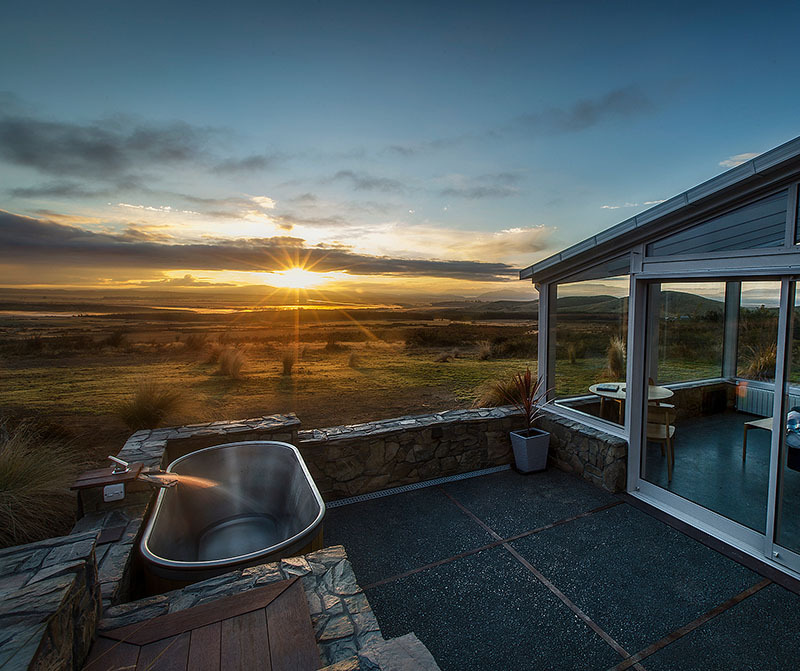 From the office you will be given directions to the secluded location of SkyScape.